Municipal elections are fast approaching and many Ontarians feel pessimistic about their future. Residents of Ward 1 in Burlington, Ontario, have a good reason to be optimistic. Recently, I sat down with Vince Fiorito, who is running for councillor in the established neighbourhood of Aldershot, to discuss his view of the issues facing Burlington. A respected environmentalist, green energy actionist, and former provincial Green Party candidate, Fiorito is running a comprehensive, well thought out campaign outlined in his People, Planet, Prosperity Platform. He has thoroughly addressed issues all municipal Mayoral, City and Regional councillor candidates should be discussing with voters before October 22. Let's start with an area of great importance to the City of Burlington - intelligent urban intensification. According to Fiorito, we're at a critical point in Burlington's urban development. The city must significantly increase affordable, accessible housing stock to meet the needs of future generations. Fiorito recognizes that if Burlington's urban areas expand outwards, we lose valuable Greenbelt lands that feed us, purify our drinking water and refresh the air we breathe. Fiorito will, "Work with residents, businesses and developers to manage urban intensification across Ward 1, Burlington and the Region of Halton. Urban intensification projects must improve our quality of life and solve existing problems - not create new ones." Fiorito supporter, Marianne Workman, believes, "Vince will bring a lot to the table - new ideas, new energy and a driven desire and ability to serve the citizens of Burlington. I appreciate how Vince considers all stakeholders and then draws on his diverse knowledge and experience to offer creative and advantageous solutions." When it comes to public transit, Fiorito acknowledges that after years of underfunding and neglect, ridership has declined even as Burlington's population is growing. According to Fiorito, "Current intensification plans for Brant Street must include new public transit infrastructure to decrease congestion and gridlock. Working with the local citizen group, Burlington For Accessible Sustainable Transit (BFAST) and ensuring Burlington receives its share of federal and provincial funding for new public transit infrastructure, City council could create an efficient public transit system so good that everyone will be eager to use." Burlington is one of the wealthiest cities in Canada but poverty continues to be a problem. The 2015 census revealed 7.3 percent of Burlington residents live in poverty and according to Halton Poverty Roundtable over 13,500 children within Halton region live in low-income households. Fiorito believes, "Everyone must be able to live with dignity. No one should have to choose between paying rent, buying fresh food for their children or a necessary medication." To make this change possible, Fiorito says Burlington policy should help local organizations collect and distribute used clothing, furniture and appliances to those who need them. If elected, Fiorito pledges to donate 50 percent of his net income as City and Regional Councillor to local anti-poverty organizations and he challenges other Ward 1 candidates to make a similar pledge. Fiorito is a passionate environmentalist who envisions Burlington doubling its Green Space with urban Green Belt land designations for publicly owned urban ravine floodplains and wetlands across the city. As a homeowner backing onto Sheldon creek, Fiorito has experienced the abuse of Green Spaces, rivers and streams. He has seen first hand how Burlington's city council and urban planners have ignored these valuable ecological systems only mentioning them in the City Official Plan as storm sewers. Fiorito exposed Burlington's urban ravines are filled with decades of accumulated trash and are contaminated with industrial effluent which gets into our drinking water. Fiorito backs up these claims in a 15 minute video from November 2017 when he delegated before Burlington City Council to report on the state of our neglected urban ravines and wetlands. Fiorito envisions Burlington rewarding volunteer watershed stewardship with Urban River Valley Green Belt Land designations that increase property values. He knows our urban wetlands should clean and purify our air and water, not be sources of pollution while recognizing, protecting and creating urban wildlife corridors. According to Ward 1 (Aldershot) resident Marcia Sweet, "Vince has energetically collected knowledge and developed skills to expand his effectiveness beyond his own neighbourhood. He has become familiar with city planning and government procedures, regulations and protocol. He supports the case for improving the environment with science-based and ethically grounded research." Many cancers and other health problems are a result of exposure to toxins in our air, water and food. Burlington needs a "Right to Know" by‐law, that requires local sources of pollution to monitor and report their toxic emissions to the City of Burlington. Toxic emission reports should be made public so that residents are aware of neighborhood pollution problems. This by-law can be modeled after programs already working in other cities including Toronto. On June 22, 2015, Burlington City Council endorsed the Blue Dot Declaration in support of its citizens right to a healthy environment including clean air and water, safe food, a stable climate and a say in decisions affecting their health and well-being. But Fiorito says past and present elected representatives at all levels of government failed to act to protect our Blue Dot rights. He is confident that, "If we value community health and safety above corporate profits then we should be rewarding builders for sustainably built, low carbon, energy-efficient homes and businesses. Those that adopt Low Impact Development (LID) practices - permeable pavement parking lots, perforated pipe storm sewers, bio-swales and other set standards should get tax breaks." Another big issue in Ontario is affordable electricity. Fiorito sees the city working to lower electricity rates with Smart Grid infrastructure. Infrastructure change would allow Burlington Hydro to sell discounted surplus electricity to customers. But, it doesn't end there. Fiorito envisions funding this electricity transformation with community managed bonds. Fiorito is a visionary with grounded, achievable goals that would help make Ward 1 and the entire City of Burlington a cleaner, more energy efficient, sustainable place to call home. Fiorito is clear that he, "will say no to changes to Burlington's Official Plan and Zoning until affected residents and businesses say yes! Stakeholder consultation must be more than a check box that imposes unwanted change though. I will follow a consensus-based decision-making process at city hall where 2/3 majority stake holder support will determine my vote. I will be honest about my opinions and will never tell people what they want to hear just to get their vote." An amateur wildlife photographer, Fiorito designed a unique campaign sign that transforms into lawn art. There's either a hawk, dove, cardinal or blue jay on one side and his photo on the other. After the election the slogan - Running for the Right Reasons - can be trimmed leaving the beautiful photo of a local bird in flight. To order your sign, click here. To donate to Vince Fiorito's campaign, click here. Editor's Note: Doreen Nicoll is an independent opinion columnist who is not affiliated with Vince Fiorito's campaign. Raise the Hammer has a longstanding policy of not endorsing candidates, and this article should not be regarded as an editorial endorsement of any candidate. However, anyone - including any candidate - is welcome to submit articles for publication. We will accept any submission that does not violate our submission guidelines. Raise the Hammer is a free, volunteer-run publication that does not charge money for access to content and does not receive any revenue of any kind, including for commercial or political advertising. 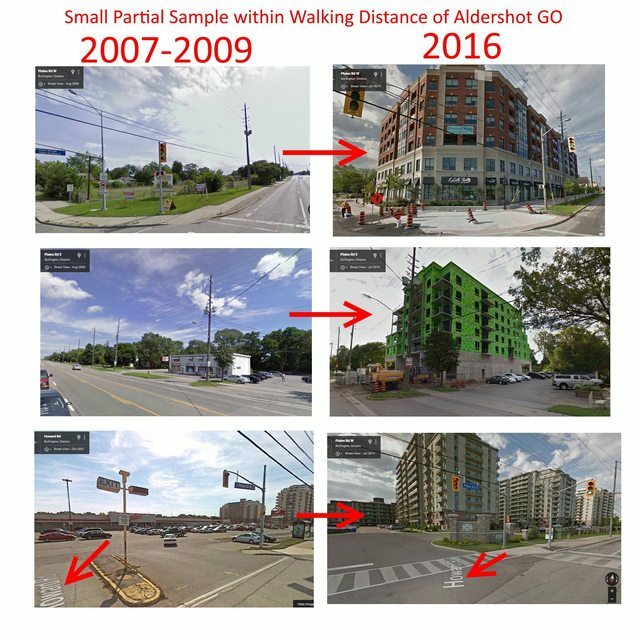 Although still very suburban, there is a long term densification plan occuring especially since Aldershot GO will be the terminus of 15-minute GO service in the next several years.